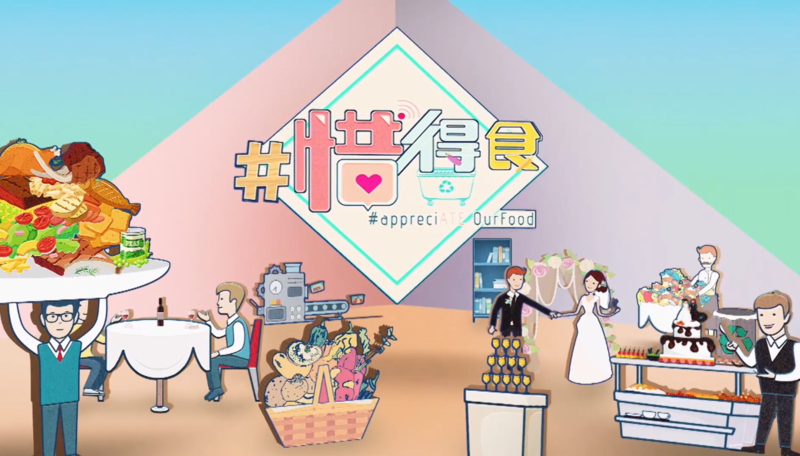 Department of Marketing of the HKBU School of Business will launch a public education TV programme #TreasureEat (#惜得食) under the Jockey Club Responsible Consumption Programme this month. The first four episodes, each lasts 30 minutes, will be aired on Cable Finance Information TV and Hong Kong Open TV on Saturday and Sunday respectively, starting from 24 November 2018. Under the theme “Responsible Consumption of Ugly Food” of this year’s Programme, #TreasureEat will look into the views of the general public towards different issues on food waste and explore ways to reduce the problem as an individual, a restaurant owner and hosts of a wedding reception as well as through education. Some familiar faces including Mr. Joey Leung (梁祖堯), Ms. Maggie Fu (傅佩嘉) and Mr. Zac Kao (高皓正) are invited to share how they put green initiatives into action. Mr. Wong Kam-sing, GBS, JP, Secretary for the Environment will also make a guest appearance in the programme, joining his “buddy” Big Waster, a popular character from the Food Wise Hong Kong Campaign, and Ms. Green, the mascot of HKJC’s “Progressing Together Cheering Team” representing environmental protection, to show their support for responsible consumption. Supported by the Hong Kong Jockey Club (HKJC) Charities Trust, Department of Marketing launched Jockey Club Responsible Consumption Programme in June. The Programme is a three-year community project focusing on three designated themes – responsible consumption of ‘ugly food’; reducing consumption of shopping bags and packaging materials; and encouraging the use of second-hand clothes and accessories, aiming at raising the awareness of responsible consumption in Hong Kong and among the youth, and educating and engaging the youth in responsible consumption behaviours. Apart from HKJC’s support, the Programme is in collaboration with the Education Bureau Business–School Partnership Programme, Consumer Council, HKCSS–HSBC Social Enterprise Business Centre and Sounds Great Services Limited.